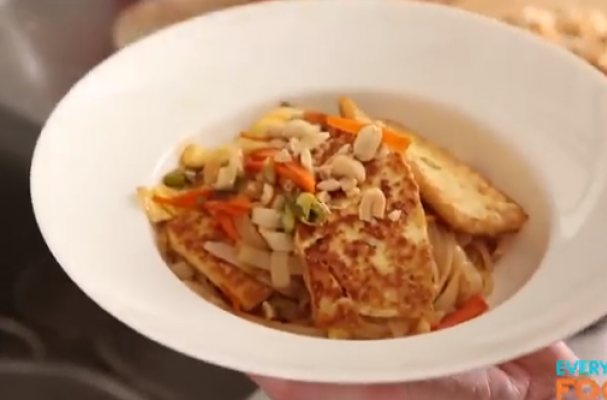 Vegetable and tofu pad thai is a lighter version of this favorite take-out dish. Strands of rice noodles are combined with scallions, carrots, scrambled eggs and chopped peanuts. To make this meal vegan, simply leave out the eggs.